The Boston International Action Center held a forum on Sept. 19 in response to Syria’s refugee crisis. 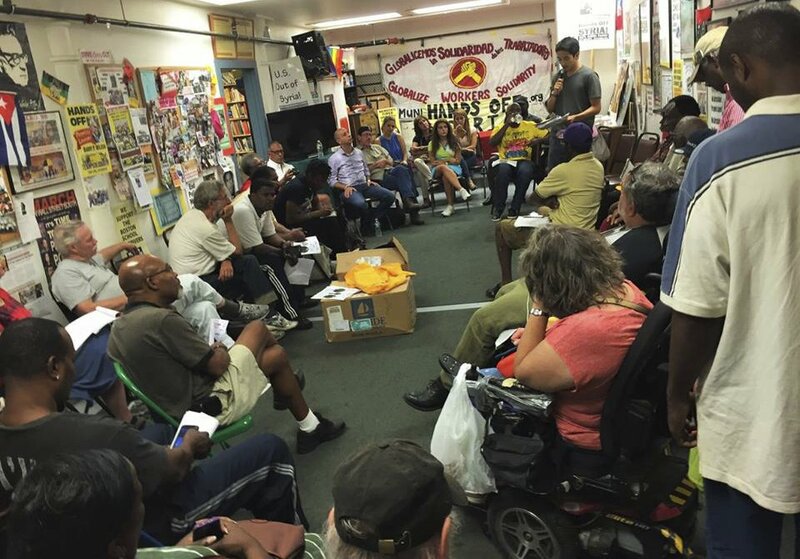 It was attended by members of Team Solidarity: Voices of the United School Bus Union Workers of Local 8751, the Syrian American Forum and Mass Action Against Police Brutality. 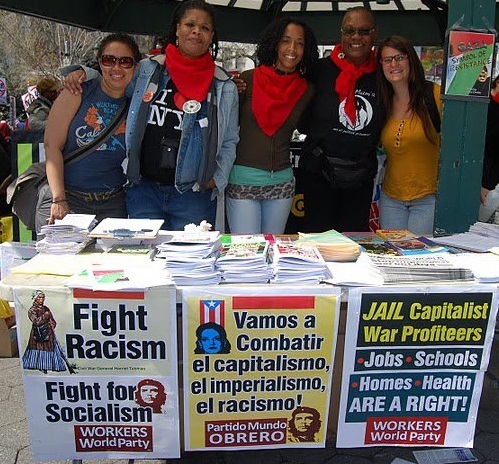 Workers World Party and the revolutionary youth group Fight Imperialism, Stand Together sponsored the event. Participants at Sept. 19 forum on Syria. Two presentations highlighted imperialism’s critical role in the massive migrations from Syria to Europe’s imperialist countries. 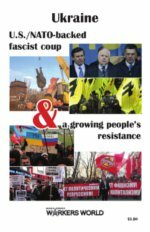 Danny Haiphong of WWP and FIST focused on the relationship between imperialism’s war on Syria and the crisis of capitalism. A critical aspect of this relationship is the antagonism between Syria’s unrelenting, heroic struggle for self-determination and imperialism’s incessant need to destabilize nations that resist its dictates. He concluded that imperialism’s policy of destabilization is evidence of the system’s broader political and economic decline. He ended by discussing the war on Black America in the U.S. and its ties to the escalating conflict in Syria. Eyam Solloum explained the SAF’s position on the refugee crisis. According to Solloum, the Syrian Arab Army would not be embattled with the chaos imposed by the Islamic State (ISIS, ISIL and Daesh) if it were not for their foreign sponsorship. He said that the U.S. media intentionally fail to cover this reality in Syria. Solloum said SAF is dedicated to educating the U.S. public on the true nature of a war that threatens the sovereignty and stability of its members’ homeland. Russia’s recent moves to increase military aid to Syria, he explained, will help the Syrian people’s cause of eliminating terrorism in their country so that Syria can begin the process of peace. In the discussion, Local 8751 leaders extended solidarity to the Syrian people’s struggle and invited SAF to speak at the bus yards. The SAF also expressed its eagerness to aid Local 8751’s struggle against Veolia/Transdev. 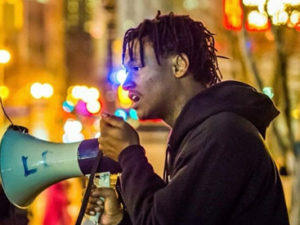 Nino, a MAPB organizer, presented a video of transit police brutality against a young Black woman in Dorchester, Mass., and explained that the genocidal war on Black people in the U.S. stems from the same system terrorizing Syria. Others in the discussion linked the war on Syria to the capitalist crisis. 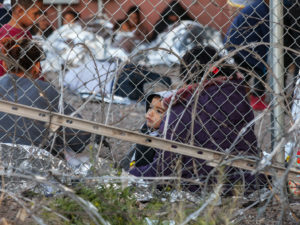 Comments stressed the importance of keeping migrant women’s struggles at the forefront of the anti-war and anti-repression movements, and mentioned the attacks on women and Planned Parenthood in the U.S. The bus drivers and the Syrian people share a common enemy: the capitalist class. Veolia’s union-busting attempts and imperialism’s efforts to destabilize Syria present evidence of capitalism’s endless crises.